Despite the wet roads and flood warnings in Grant and Jay counties, the day ahead looks pretty good. We'll see lots of sun during the afternoon and warm up to a cool but nice 63 degrees. The weekend will start dry, with some sunshine Saturday morning. This is great news for Race for the Cure in Indianapolis Saturday morning. Temperatures will be in the lower 40s to start the race/walk. 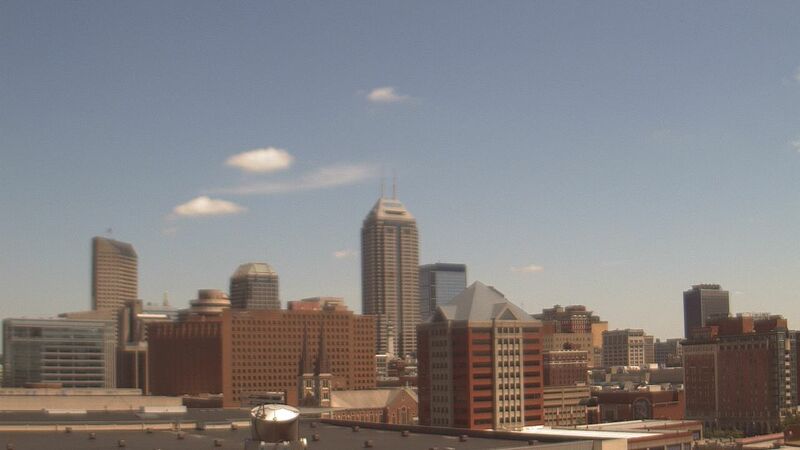 Clouds will move back into central Indiana by late morning and there will be some showers from about 2 p.m. Saturday through 2 a.m. Sunday. Your outdoor plans on Saturday afternoon and evening will be interrupted at times later Saturday. Sunshine is back for Sunday afternoon. High temperatures both Saturday and Sunday will be in the range of 60 to 65 degrees. The weather pattern stays active into next week and this will mean a daily rain chance. The early look at next week has a wet start to the work week on Monday and a lower rain chance on Tuesday. Temperatures will stay in the 60s for highs on Monday and Tuesday. Much of next week looks similar to this week, with a weather system near central Indiana bringing those daily rain chances and big temperature spreads from north to south across the state. Stay with the Live Doppler 13 Weather Team and we will keep you updated.